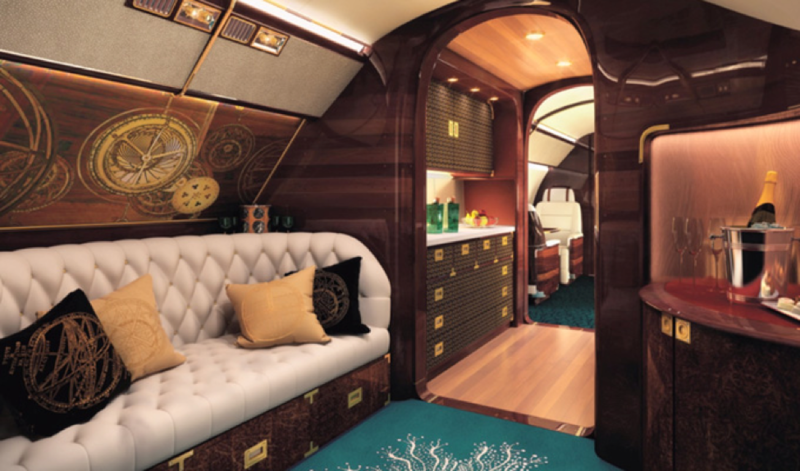 The ultra-large Embraer Lineage 1000E features a five zone cabin meant for business, relaxation, and privacy. Available in variously themed designs, the Lineage 1000E can be configured in a multitude of ways based on your personal preference and style. When passengers step into the Lineage 1000E, they will find first class designs and amenities throughout. The luxurious standard cabin configuration in the 1000E seats 13 to 19 passengers and includes a crew rest area, two single-club seat sections, four-place conference seating, divan with credenza, and a master suite with walk-in shower. 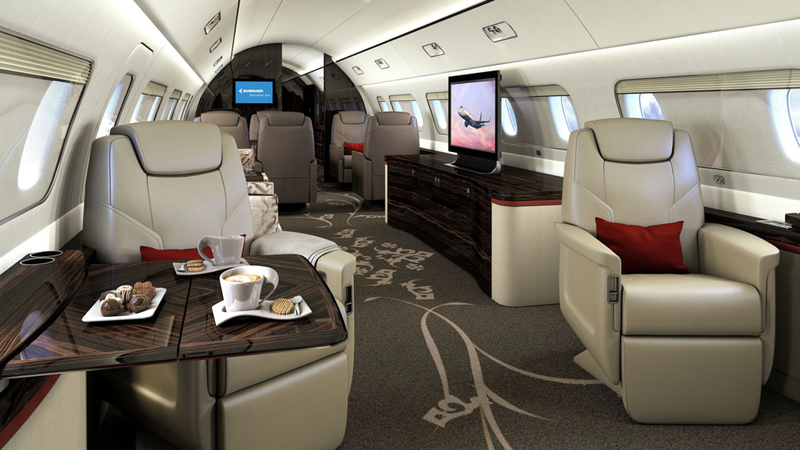 The cabin features electric doors and tables, premium leather seats, high speed data connections, and wireless iPad controls. In the two sided galley, there are options for an espresso machine, wine cooler, microwave, and more. What makes the Lineage 1000E unique are the five innovative design concepts developed exclusively for this jet. 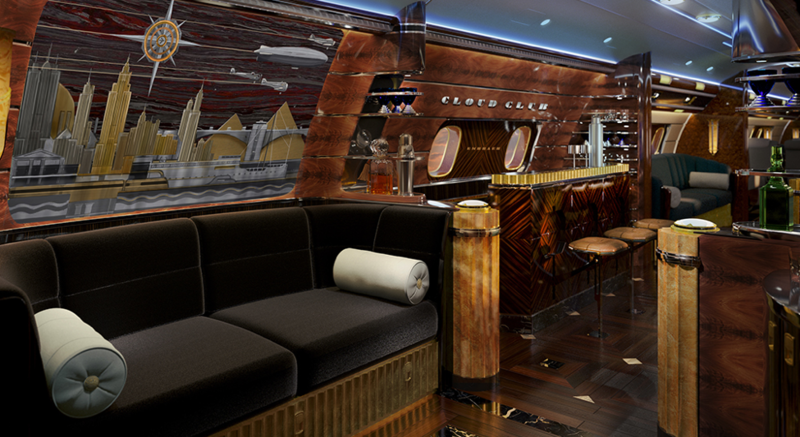 Themes ranging from super yachts to old Hollywood glamour are showcased in this ultra-large aircraft. The Skyacht One concept was created with luxurious super yachts in mind. A nautical theme runs throughout the entire cabin and perfectly combines the elegance of a yacht with the features of a private jet. The Kyoto Airship showcases expansive glass windows that fill the cabin with natural light and offer spectacular views from every seat. This design was meant to bring the beauty of nature into the aircraft to create a harmonious and peaceful atmosphere for travelers. The Skyranch One design combines the refinement and relaxation of the West. A bison horn beer tap, bleached wood, and saddle inspired leather seats bring out the best of the West in this concept. Bringing classic and iconic New York style onboard, the 1930’s inspired Manhattan cabin features gold trim details, dark wood flooring, and elegant artwork to make travelers feel like they are in a high-end club in Manhattan. The Hollywood theme showcases the glamorous lifestyle of old Hollywood. Art deco combined with neoclassic artwork set the tone for this sleek concept. The Honeywell Primus Epic avionics suite features steep approach capability, windshear detection and guidance system, Embraer Enhanced Visual System, and more. Autothrottle, a weather radar with turbulence detection, and fly-by-wire help to reduce pilot workload and increase safety. Pilots will find one of the roomiest cockpits in the industry when flying the Lineage 1000E. 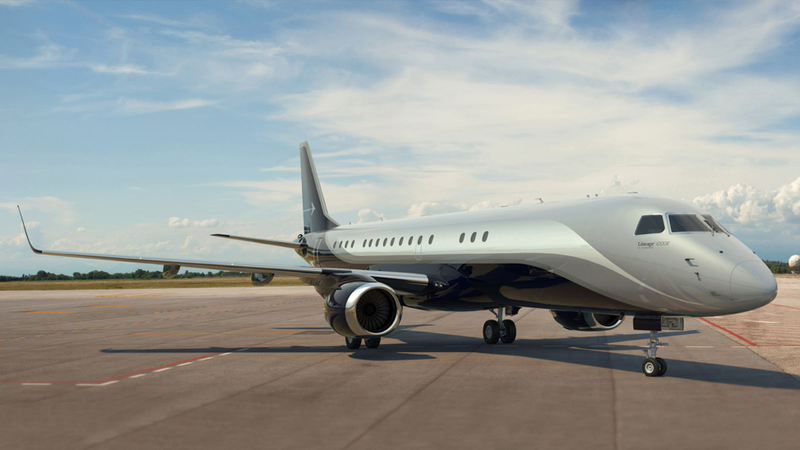 With five design concepts to choose from and endless interior configurations, passengers aboard the Embraer Lineage 1000E will feel they stepped into another world. The Lineage 1000E starts at $53 million and increases based on chosen design concept.